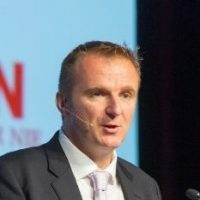 Ged Brown is the Aviation Development Director of AviaDev. He joined the team in May 2018 and has over 20 years experience developing business relationships in the global travel and tourism industry having held senior management positions at Thomas Cook, MyTravel, TUI and Kuoni. He more recently sat on the senior management board at UBM routes for 10 years, during which time he pioneered and promoted the role of tourism authorities in the air service development process as well as managing the host city selection process for all events. A self-confessed travel addict, Ged frequently presents at several travel industry events throughout the year and regularly writes articles and publications on the industry.